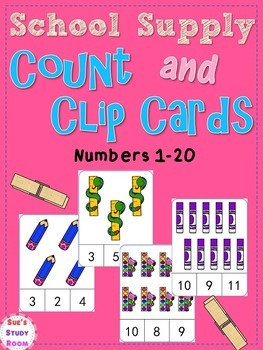 This School Supply Count and Clip Cards packet is perfect for math center. 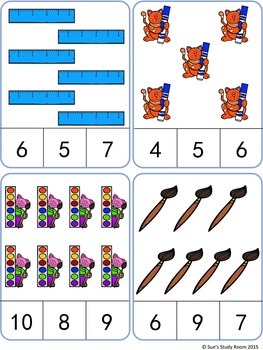 Students will use their counting skills to practice math. 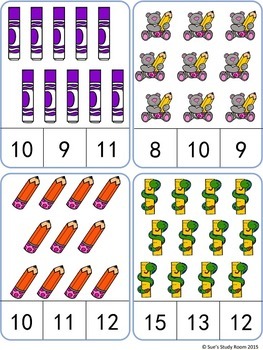 Have the students count the items on each card, find the correct number, and clip a clothespin over the correct number.